2: Combine two beauteous braids for this style. See all of the instructions here. 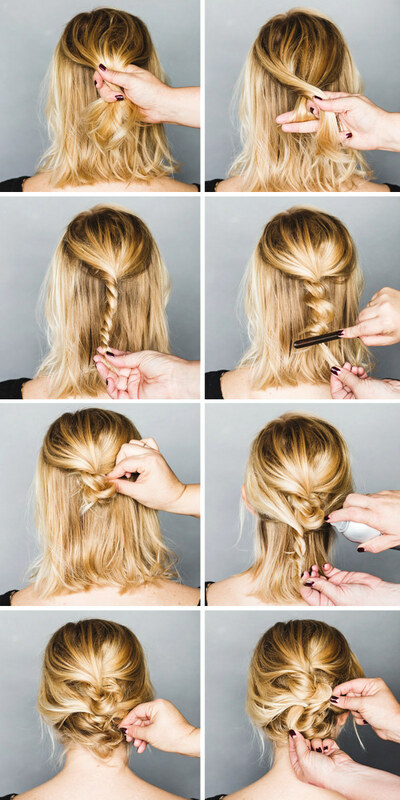 3:Change hair into this perfectly messy updo. 4: Twist your hair into these playful loops. 5: Braid four sections and pin your hair into this pretty updo.